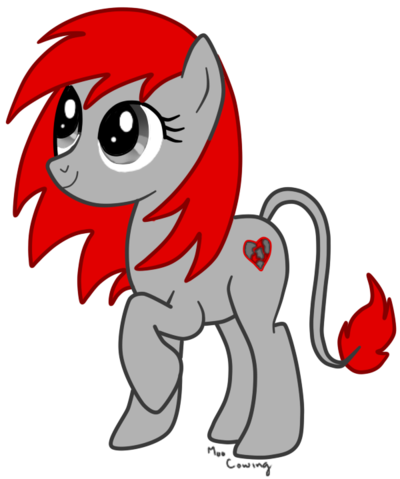 Appearance: Stoneheart is a light gray pony with a red spiked mane and dark gray eyes. Her tail is gray with a red fluff at the end. Cutie Mark: A heart breaking out of stone. It symbolizes Stoneheart's compassion and desire to help every filly and colt break out of their neglect and find loving and caring parents for them. Personality: Stoneheart is a loving, kind and caring pony. She's polite and fun-loving and loves to joke around. She does tend to have a temper.  She's an impish pony who loves playing pranks and being mischievous. It also tends to get her in trouble. She always tries to stay positive in every situation.